The Mammoth Cave in Kentucky is said to be haunted by Floyd Collins, an explorer who died there in 1925 after his leg was pinned under a rock. He was located shortly afterward, but rescuers weren?t able to get to him. He was stuck for two weeks and died just a few days before help managed to get through.Cavers claim to have heard screams and pleas from the small cavern where he was trapped, which has now been sealed shut. There are even reports of whiskey bottles being thrown at people who approach. 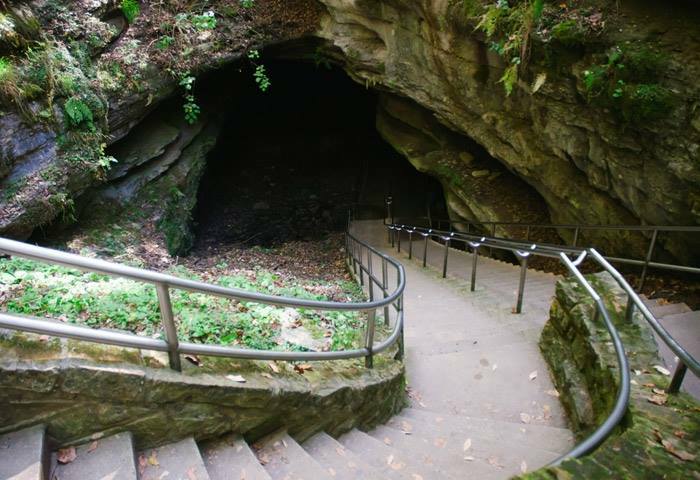 One woman claims that the ghost of Floyd saved her from a fall by catching her and pulling her back from a ledge.America?s other Mammoth Cave?this one in Colorado?is also steeped in a history of bloodshed. Locals call it a ?keeper,? which refers to the bodies of those who died there. It?s simply too dangerous to retrieve them, and so the cave keeps the corpses of the lost in its eternal clutches. The most dangerous spot is known as Angel Falls, a 23-meter (75 ft) drop that?s claimed three lives. Yet the most sinister part of the cave?s reputation is the claim that it was once home to a dangerous coven of witches.The stories say that during the late 1970s, the cave was home to five evil warlocks, named Randy, Sunshine, Lobo, Patches, and Cowboy. The coven killed small mammals and drank their blood. Another report states that two girls saw the warlocks throwing a pregnant woman to her death in the cave. The cave was eventually sealed, and the witches were never found.